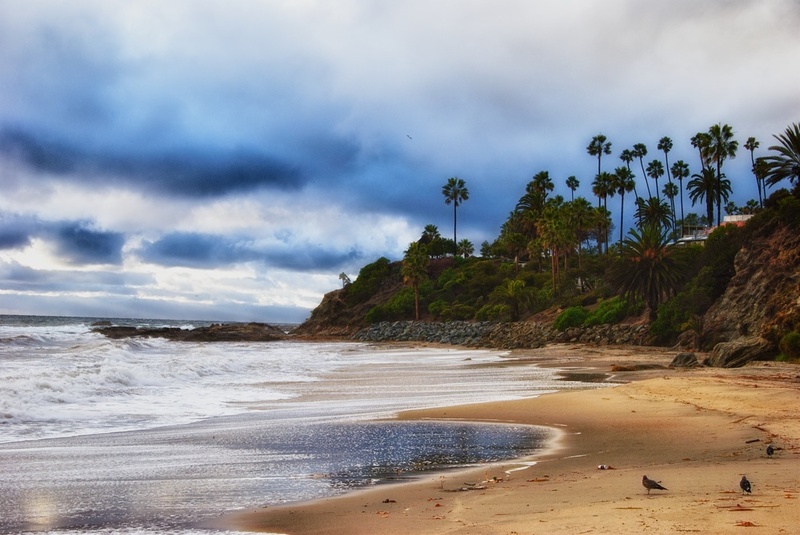 This is Laguna Beach, a place I love. It totally rocks, and I have barely seen only a small part of it. That part is what you are looking at - the beach itself. It is my kind of beach. Yes, there is sand on it, but there are nice big rocks that you can climb over and around and have a great time out there doing so. On this day, it was stormy and windy and there were lots of waves. It was awesome, despite slipping on rocks and nearly getting doused by the salt water several times. It is a perfect place to take a camera, if anybody out there is into that sort of thing. I have been there a couple of times while in Orange County on business, and hope to return someday. Until then, I just have my photos.